This is probably, very much a song you have heard of, and totally just an excuse to talk about how much I unexpectedly love her album. Unexpected in the sense that when it was first announced I was looking forward to it, but some singles coming out in the build-up were weak for my taste, and that dampened my expectations for the album. Extremely happy to report that was for nothing because the album is just amusing as I first believed. Favorite song without a doubt is 'Garden', but talking 'New Rules' because that is the song chosen here? It's great. Too many times songs about relationships focus on the lusting for an ex, that you either know you shouldn't be with because they're bad, or because the relationship has run its course. You still crave them so badly, you go back when you know you shouldn't. The song completely turns that on its head. It acknowledges those feelings of lust and the crave, but the reminders of why you shouldn't go back are at the centre of the song, instead of the after thought. When I first watched the video and it was only set in a hotel room and outside space, I thought it was a little boring. But tear down that wall and it's actually quite creative. Usually for songs like this, the story of the video would very much be centered on the two half's of the couple, and the back and forth, leading to the inevitable reconciliation or deep regret over that not happening. Instead the video follows the song and is all about female empowerment. Your friends stopping you doing something stupid, and then the roles reversed. If more songs were like this I'd be a very happy person. I only like part of the chorus. Rest of the song is a dud. However CONTROLRadioUK HQ happen to love this song. Musically it's fun, could do with a bit more power, but it's fun enough for repeated listens. I couldn't disagree more of I tried. Sigrid, Zara Larsson, Julie Michaels, and to an extent Astrid S are all hyped up to be the next big thing to come out of music. Having given them all a brief listen, I've come away extremely disappointed. It's similar to when everyone uses the same Producers, their music all sounds the same; They're all putting out songs that dance the same tune and it's boring. I had hopes for Astrid S but her recent releases have continued to disappoint. In theory 'Plot Twist' is an interesting song lyrically, but the video doesn't have a story or anything to it really that hasn't been seen before, and musically this falls into the same producers problem. When I was on Twitter and saw the news on Chester Bennington's death break, I was absolutely gobsmacked. I didn't want to believe it was real and nearly 2 weeks later, it still hasn't sunk in. I have personally suffered losses 3 years in a row now. It completely guts your soul and even when there's hints of what's to come? Doesn't make the pain any less devastating. Talk to anyone and even if they weren't a massive fan or went in other directions over the years, they'll still have heard a Linkin Park song. They've done so much for music and it's such a tragedy that Chester was able to help others find peace, but never found that in himself. 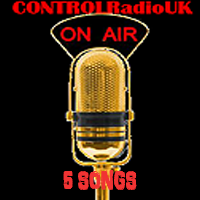 In tribute this week CONTROLRadioUK is doing a top 5 Linkin Park's post. We will feature some classics, and some of their more recent work. When you come across a band randomly on Youtube and fall in love with them. OK, so that's a massive exaggeration, but The Struts are a good band. This song reminds me a lot of Queen in the sense of sound and the main singer sounds a lot like Freddie Mercury, which I think is the biggest compliment you can give someone? Either way The Struts seem like an awesome band, and I will enjoy exploring their discography, however big or short it is. Seriously! This was a really random Youtube find. Google tells me The Struts are an English Rock band from Derby, and this is a non-album single. I have no idea what their album is called, if they have one coming out. Nothing. But when a songs this good? You just go with the flow! You can't put another Kesha song on the 5 Picks they said. People will get bored they said. This is the last time you're doing this they said. I don't give a damn is what I said. It has been an extremely long wait for new music. Kesha is still as awesome as she has always been. Her sound just a lil more grown-up and she seems to be having a bit more fun with it, singing songs she actually likes, compared to having everything picked and decided for her. The video is a mixture of home videos, call backs and general fun. Lyrically this song is serious, but it has fun with itself, whilst never losing the point. Things can be done to you, but you have to learn to make peace with that, otherwise you'll never find peace with yourself. To an extent it's the same message 'Praying' had, and I have no doubt the album will probably follow this line and it deserves to. She has been through hell, but she's come out the other side. Musically this is slightly falling into the same Producers category, but I honestly don't care. I'm so completely, absolutely ready for a new Kesha album and the 11th August can't get here fast enough.